The Wisconsin State Senate -- with only the 19 Republicans voting -- has scheduled a vote today on Senate Bill 6 - an ill-advised, ill-conceived and totally unnecessary measure that would transform Wisconsin into the most restrictive state in the nation in which to cast a vote at the polls. The Senate Committee on Transportation and Elections on Tuesday made a few alterations to Senate Bill 6 -- with the three Republicans on that committee all voting to forward the measure to the full State Senate for consideration. A Democratic member of the committee, Sen. Jon Erpenbach of Waunakee, was blocked from voting by phone because the committee chair, Sen. Mary Lazich (R-New Berlin) didn't like the fact that he and the other 13 State Senate Democrats are still in Illinois. This is the first time in memory that a legislator has been denied the ability to vote in a committee by phone. Revised Senate Bill 6 slightly expanded the forms of identification - which must all have a photo - that can be used to present at the polls in order to have your vote counted. You must have a Wisconsin driver's license or a Wisconsin Department of Transportation-issued photo ID or a U.S. military ID or a valid U.S. passport or a Tribal ID or naturalization papers. No other form of identification is acceptable. Passage of this revised Senate Bill 6 will make Wisconsin just the 9th state in the nation to require a photo ID to vote and the most restrictive and difficult in which to do so. It will be easier to vote in every southern state in the nation than to vote in Wisconsin. But on Tuesday, the Republicans on the committee also included a provision that makes Senate Bill 6 even more onerous and restrictive than it was when it was introduced. 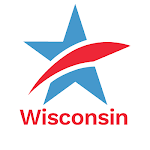 They extended the current and long standing residency requirement of 10 days to 28 days, which will likely mean that thousands of new Wisconsin residents will be prevented from registering to vote in some elections. There are also questions about whether removing the fiscal note attached to the legislation so that the Senate can vote to pass Senate Bill 6 without a required quorum of 20 Senators present -- and then adding the fiscal note later -- is constitutional. An unfunded Senate Bill 6 would almost certainly be stuck down by the courts as unconstitutional as applied because if the state does not bear the cost of paying for DOT- issued photo IDs, then it would be tantamount to a poll tax -- which was outlawed by the 24th Amendment to the U.S. Constitution. If the Senate later "reattaches" a fiscal note there will be questions about whether its passage without one is valid and constitutional. And the fiscal note would be considerable. It would likely cost millions of scarce tax payer dollars to implement in order to pay for the state-issued photo ID cards, the expansion in the number of Department of Motor Vehicle offices and hours to handle the increased issuance of the photo ID cards, training and administrative costs for poll workers, and education of the public about the new, much more restrictive law. In a period of huge budget deficits and strained state and local finances, is this a new and significant expense Wisconsin taxpayers should be forced to shoulder? Does Wisconsin really want to make it more difficult for all of its citizens to vote than even in Alabama or Mississippi, and have a one of the lowest voter participation rates in the nation? The vote today in the Wisconsin State Senate by Republican Senators is a no-brainer. NO! Senate Bill 6 Will Make Wisconsin the Most Restrictive State in the Nation in Which to Vote -- and it is Likely UnconstitutionalTweet this! What is so difficult about having proper ID when you vote? The way politics are today, I wouldn't put anything past either party to rig an election. Remember you are real close to Chicago where there has been many irregularities at election time. that disenfranchises actual legitimate voters, without a corresponding actual benefit. I see no reason why we shouldn't do everything possible to insure a fair, accurate and meaningful vote. It's a privaledge and responcibilty for us to vote, spending a extra hour every 4 years or so to get an ID isn't much to ask. How can a little insurance possibly hurt? Many already have a state ID or Driver's license.. I would suspect we need to add a little history with the state as well (how about some additional residentcy requirements) at least 90 days sounds reasonable to me.